German investors' association DSW called has called for an independent audit of Volkswagen's emissions test-rigging scandal in addition to the carmaker's internal probe. DSW asked that a shareholder vote on an independent investigation be included on the agenda for VW annual general meeting on 22 June. In September, Europe's largest carmaker admitted it had cheated diesel emissions tests in the United States. "When you have an independent investigation you can be sure that the findings will be publicised. With internal investigations you do not know whether everything has been made transparent," DSW spokesman Juergen Kurz said on Monday. 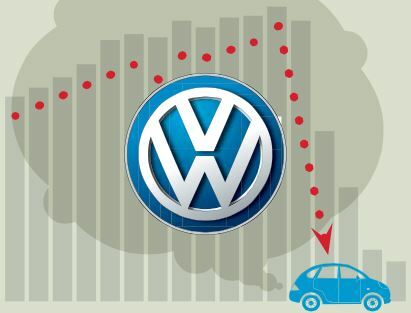 VW has retained law firm Jones Day and has some 450 internal and external experts looking at processes, reporting and control systems to find those responsible for the scandal which has already forced VW to set aside 16.2 billion euros ($18.2 billion) to pay for the scandal. But Kurz said there was no guarantee small shareholders would receive access to all of Jones Day's findings. VW has created a Special Committee on Diesel Engines headed by Wolfgang Porsche, head of the family clan which controls VW, to investigate the scandal. The company has declined to comment in detail about initial findings of the probe, as part of which Jones Day is interviewing managers and employees close to the diesel issue, because it is not yet completed. It said so far there were no signs that current management was involved in the scandal but that there were process deficiencies on the technical side as well as misconduct on the part of unidentified individuals. It has also said it was reorganising the processes and structures used for approving the software for engine control units with more clearly defined and binding responsibilities. DSW acknowledged the chances of forcing an independent investigation at VW were slim, given the company's large shareholders - the Piech and Porsche families, which jointly control 52 percent of VW voting rights - may not back the proposal. If that happens, DSW could try to win a court order to enforce an independent investigation, DSW's Kurz said. Reporting by Edward Taylor; Editing by Mark Potter for Reuters.